Yanni Gourde is a Canadian professional ice hockey player who plays in the National Hockey League (NHL). As of 2019, Yanni Gourde currently plays for the Tampa Bay Lightning as their Left Wing. Currently an undrafted player, he started his professional career in 2008 with the Victoriaville Tigres in the Quebec Major Junior Hockey League (QMJHL). Yanni Gourde reportedly earns around $5.166 million as his yearly salary from Tampa Bay Lightning. Further, Yanni Gourde has an estimated net worth of over $15 million. Yanni is married to his girlfriend Marie-Andree and has a daughter Emma Kate Gourde. As of 2019, Yanni Gourde has an estimated net worth of over $15 million which is same as that of Erik Gudbranson of the Vancouver. He reportedly signed a six-year contract worth $31 million with Tampa Bay Lightning on November 2, 2018. Furthermore, Yanni has an average salary of $5.166 million annually and so far he has made earnings of $33 million from his entire NHL career. Before signing the six-year contract with the Lightning, he signed a contract for two years which is worth $2,000,000 and the contract included a guaranteed sum of $2,000,000. Moreover, he also signed a contract for a year on July 24, 2016, worth $600,000 with the Tampa Bay Lightning. Kept aside Yanni Gourde financial earnings, his personal assets includes a home and cars. Besides, he also earns a good amount from various sponsorships. Yanni Gourde is married to his lovely, charming, and gorgeous girlfriend Marie-Andree on July 25, 2015, in front of family and friends in a lavish wedding ceremony. The couple is blessed with a daughter named Emma Kate Gourde who is born on May 1, 2018. One year ago, I got married to this beautiful girl ! Happy anniversary my love! ?? Furthermore, the exact details about Yanni's wife aren't yet revealed on the media. Yanni is living a happy married life with his wife Marie since they are happy with their relationship. So far there aren't any rumors which suggest the past relationship/affair of Yanni. Other than being a famous NHL Left Wing, Yanni Gourde is pretty famous in social media. 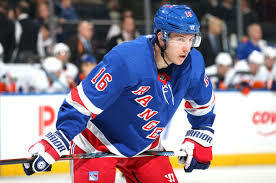 The Famous NHL star is 5 feet 9 inch in height and weighs around 77 kilograms. Yanni Gourde is not only a world-class athlete but also has a very attractive individual. Yanni Gourde was born on December 15, 1991, in Saint-Narcisse-de-Beaurivage, Quebec, Canada but the information about his parents and family life isn't available. As per his nationality, he is Canadian and belongs to the White ethnic group and his star sign is Sagittarius. He parents named him Yanni after the name of singer Yanni since his mother saw the singer's name while she was watching a movie during her pregnancy. He started his career playing in the minor league of the American Hockey League. Yanni started his NHL career with the Tampa Bay Lightning on December 14, 2015, and made his debut against Toronto Maple Leafs. During his 2017-18 season, he became the most goal scorer alongside Tyler Johnson in a rookie season by a Lightning player. Currently, he signed a six-year contract with the Lightning on November 2, 2018, and is playing alongside Daniel Girardi.